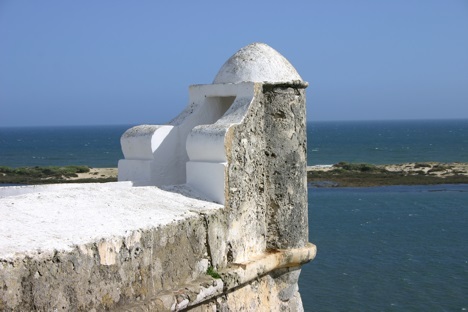 Welcome to Travel Guide 2 Portugal, the site about travel, tourism and vacations in Portugal. The Portuguese Republic (Portuguese: República Portuguesa), usually known as simply Portugal, is a country mainly located in Iberia, in southwestern Europe. Additionally, two island archipelagos in the Atlantic Ocean (the Azores and and Madeira) are also poart of the country. Mainland Portugal is bordered only by Spain, which lies to the North and East, and its coast lies on the Altantic Ocean. As of 2007, Portugal had an estimated population of 10,642,836. 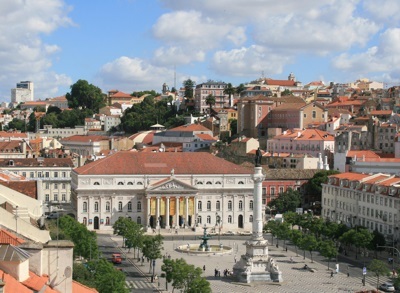 Approximately 564,657 people live in the capital and largest city, Lisbon. Other large cities in Portugal include Almada, Amadora, Braga, Coimbra, Funchal, Porto and Vila Nova de Gaia. Today, Portugal has an advanced capitalist economy. Membership in the European Union (EU), which Portugal joined 1986, has contributed greatly to the country's economic success by stimulating trade, and by triggering the inflow of European funds to improve Portugal's infrastructure. In 1999, Portugal became one of the ten European countries joining the euro zone at launch.